Sultan is not a movie about a wrestler. Sultan is not a movie about wrestling/ Mixed Martial Arts (MMA) sport/ sporting leagues. Sultan is a story of achievement, loss, recovery and bigger achievements. The first statement may seem too contradictory and confusing, but it's true. Sultan as a movie, could have been the story of a businessman, or that of a chef. 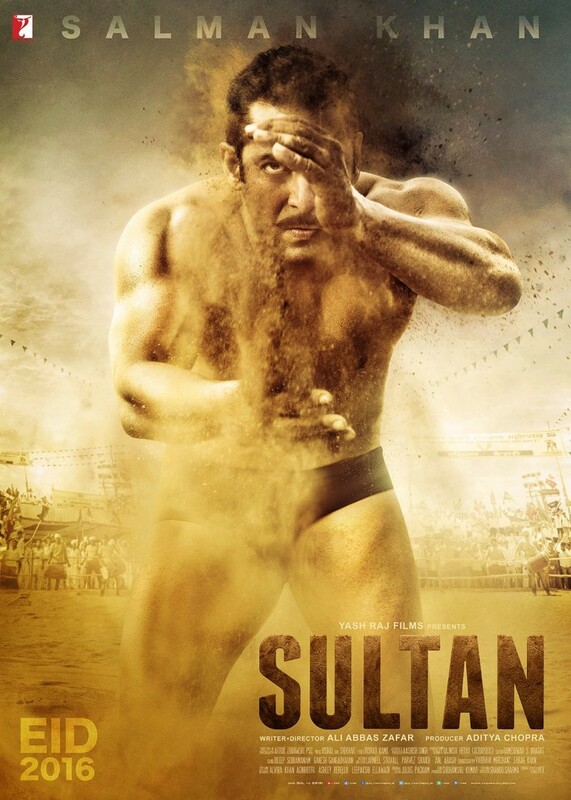 It's just a matter of coincidence that writer-director Ali Abbas Zafar chose Salman Khan to play role of a wrestler. Sultan Ali Khan (played by Salman), is a lad nearing 30 who hasn't really found a purpose in life. He hails from a small district from the state of Haryana. Haryana is known to have given India some of its best wrestlers, so the movie being based out of the state seemed like a natural choice for Ali. Sultan, on a seemingly normal day comes accidentally (quite literally) across Aarfa. Aarfa (played by Anushka Sharma) is the daughter of owner of an akhaada (wrestling training institute). She is aspiring and training to be the next Olympic gold medal winner, for India. Sultan also enrolls himself as a student at the akhaada, just for kicks; and ends up befriending Aarfa. However, the friendship is short lived for reasons best left for audience to discover while watching the movie. The incident suggested above encourages Sultan to turn himself from a random nobody to a name to reckon with; in the world of wrestling. These 15-20 minutes of transformation of Sultan the lad, to Sultan the latest sensation of wrestling; in the country, are really inspiring and entertaining. Sultan also manages to win over Aarfa in the bargain. Without divulging too deep into the story of the movie, Sultan looses balance and in spite of achieving the pinnacle in the world of wrestling, ends up losing everything on the personal front. To the extent, that Sultan ends up retiring from the world of wrestling, and that's the turning point in the movie. In the second half of the movie Sultan reluctantly and hesitantly ends up becoming a part of a MMA league, where he would be pitted against some of the best MMA fighters in the ring. If the transformation of Sultan the lad, to Sultan the wrestler were inspiring; this transformation of Sultan the run down ex-wrestler to a mean fighting machine is the highlight of the movie. There are two versions of Salman Khan, the actor. The first version is a super hero on screen, he fights lunatic villains; dances and romances with the actresses, and does (some) preposterous movies. The second version of Salman Khan is a seasoned actor who gets under the skin of his character and becomes irreplaceable in the movie. The last time Salman displayed that version of his skill was in the critically acclaimed and hugely successful Bajrangi Bhaijaan. Sultan is a work of the latter Salman Khan. Anushka Sharma would be one of the few actresses who has managed to bag a meaty, substantial and meaningful role in a Salman Khan movie and she manages to do justice to Aarfa's character. All directors need to handle Randeep Hooda; the way he has been handled by Ali Abbas Zaffar in Sultan. He is a firecracker, although in a short role. I'd like to give a special mention to Shanoo Sharma, who has done a commendable job in casting. Characters of Kumud Mishra, Amit Sadh, Randeep Hooda fit the role, perfectly. I was also delighted to see how Yash Raj Films nurtures talent with Anant Sharma (he played a passable role of Sunny Katiyal, in Mardaani) who makes his mark as Govind; Sultan's wingman, partner in crime, unfettered supporter and best friend. Sultan, is a story of rags to riches to rags to wealth; based in the world of wrestling. It's a masala Bollywood entertainer with some unwanted songs, some melodramatic and over the top moments; but it's an entertainer through and through. Saw the movie after reading this review. Understood why you say "rags to riches to rags to wealth" and not "rags to riches to rags to riches". Got fed up by the number of times they repeated the name Sultan in the movie and that typical manner... You know when you say Sultan with 'L' as in Lola Kutty and 'N' as in Gantantra Divas. Kept on repeating rest of the night. It's very additive types. Sticks on. Fun to say suLtaN. But very irritating to hear. suLtaN. सुळताण. On a serious note along with achievement it's also a lot about forgiveness. Now that you've read what I think, what do you have to say? Let's talk this out!